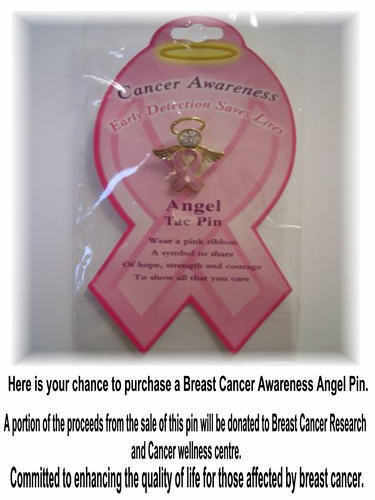 You will receive a gold plated angel pin with pink epoxy coloring and a single clear stone. They are tack style pins . 1 1/8 by 7/8 inch . Great item to give as gifts . Each pin is individually carded and polybagged . All items are brand new !